On 28 June 2007, in the city of Christchurch, New Zealand, UNESCO declared Teide National Park Natural a World Heritage Site for being “one of the richest and most diverse assemblages of volcanic landscapes and spectacular natural values in the whole world… Rising some 7,500 m above the ocean floor, it is the third tallest volcanic structure in the world and is situated in a spectacular environment. The visual impact is emphasised by atmospheric conditions that create constantly changing textures and tones in the landscape and a "sea of clouds" that forms an impressive backdrop to the mountain. 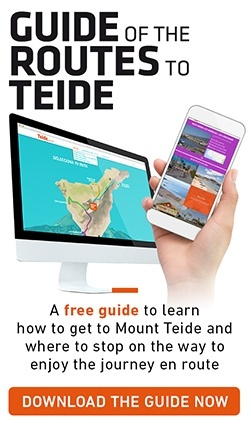 Teide is of global importance in providing diverse evidence towards the understanding of the geological processes that underpin the evolution of oceanic islands, and these values complement those of existing volcanic properties on the World Heritage List, such as the Hawaii Volcanoes National Park. (USA)”. This recognition was the result of more than five years of hard work. UNESCO declared Teide National Park a World Heritage Site mainly for geological reasons, but there were other aspects of huge importance such as its natural heritage, some of which is intangible, like the combinations of lights and colours that coincide in a certain place and at a certain time. The Park's altitude influences the climate for several reasons. Dryness is one of the principal factors, which occurs because the layer of moist air, which the sea of clouds forms, is usually below its domains. Its high mountain climate also brings several snowfalls and freezes during the winter. This set of circumstances has created an island within the island of Tenerife, and many autochthonous species and endemisms have evolved. The World Heritage status is not the end of the road; instead it represents a commitment for us all, to defend, conserve and enhance this unique natural area.